Our certified professional technicians guarantee quality dryer repair in Calgary, Alberta. We are qualified to install or repair many different types and brands of washers and dryers for the home. Everybody on our staff was hand-picked for their experience, skills, and dedication to customer service. You can count on our employees to be helpful, friendly, and knowledgeable. Our local company has long been committed to providing fast, effective, and affordable service for our customers. We offer the best overall dryer service in the region because we truly care about the services we provide. There is more to installing washers and dryers than simply plugging them into the power supply. Our technicians are qualified to administer complete dryer installation service with precise attention to detail. We will install the right receptacle if one does not exist. The proper components will be installed to direct the intense dryer heat to the outside vent. Once the unit is properly hooked up we will make sure it is operating at peak efficiency. This is the type of service Appliance Repair Calgary is proud to offer. When your washer or dryer stops functioning correctly, you want someone to respond with urgency to get it working right again. We offer some of the fastest response times in the area for top and front load washer and dryer repair. More importantly, our technicians work feverishly to administer high-quality service at a rate lower than you might expect. Many people turn to Calgary Appliance Repair for this very reason alone. 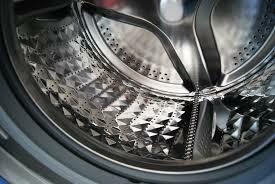 We offer a trusted Calgary dryer repair service guarantee. You can depend on our friendly professionals to be there when you need us most. 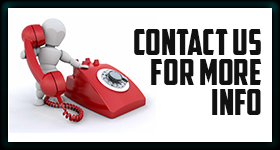 We can come out the same day or at a time that is convenient to your hectic schedule. Get in touch with Appliance Repair Calgary today for outstanding washer and dryer service.